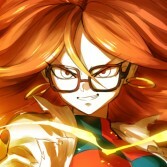 Dragon Ball FighterZ: Who will be the last character of this DLC season? Bandai Namco recently announced Cooler as the seventh DLC character for Dragon Ball FighterZ. This means we can expect only one character in this DLC season. Who will it be? Based on the leaks provided by DasVergeben and other dataminers we are almost sure the last character will be a great winner of the Tournament of Power, Android 17. In addition, we have a list of 8 characters from the second DLC season, which will probably appear in Dragon Ball FighterZ. Currently, Android 17 exists in the game as Android 18's support. 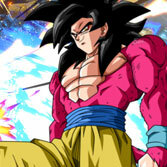 He is a variant of himself from Dragon Ball Z. As a separate DLC character, it'll be Android 17 from Dragon Ball Super. He works for a wildlife reserve and as a lone ranger, 18's twin brother defends endangered animal species on an island. 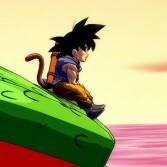 After accepting Goku's offer to take part in the Tournament of Power, Goten and Trunks watched over the safety of the island. At the moment all DLC characters announced by DasVergeben have been confirmed. The fifth and sixth characters, Base Goku and Base Vegeta, should be available today. However, until Android 17 has been officially announced by Bandai Namco, these are still just rumors. As in the case of Android 17, at the moment these are still just rumors. And what do you think about these characters? Would you like someone else to be in the game?